At Rao IIT, we believe that students require more than just good quality teaching to perform well in the exams. 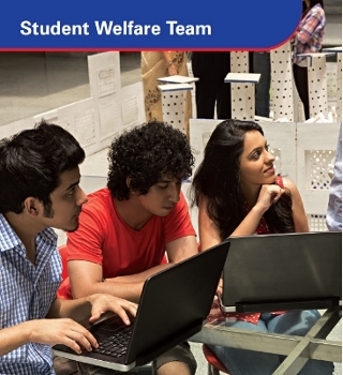 This is why; we have created a special wing known as the Student Welfare Team. The welfare team consists of professionals, consisting of 10 IITians and 3 Doctors, who are not a part of the regular staff, but a core group of professionals who help to tackle various issues that the student might face. The welfare team provides personalized counseling solutions to their students, constantly giving them motivation in order to help them enhance their performance. There is constant evaluation carried out on the students based on their performance in classes and test scores and on these parameters, the student is given proper guidance that helps them to focus on their weaker areas and stay focused. These counselling sessions are not limited only to the students. In some sessions, even parents are involved in order to help motivate students into performing better. In today's extremely competitive environment, it is very essential to have a good concentration. The welfare team helps a student to improve his concentration using various tips and techniques. Similarly, having an excellent speed and accuracy provides you a huge advantage in a competitive exam. The welfare team imparts apt training to the students, which helps a student to constantly improve his speed and accuracy skills. Grievance Redress Even though we try our best to give our students all the facilities, there may be times where the expectations of students or parents are different. So, our welfare team takes constant insights from students in order to provide solutions to their expectations. The students or parents can approach the welfare team at any time. At every point of time right up to the exams, the students are motivated to do better. With the confidence welfare team's induces in students, they feel comfortable about approaching the faculty and management. Another important activity handled by the welfare team is professional mentorship, strengthening the knowledge roots of a student. There are regular sessions where the student's feedback in the tests is used to gauge their future performance. They organize regular team building and discussion sessions to encourage a sense of group effort among students. The welfare team also provides advisory solutions to students and parents so that they can discover various academic options that the students can choose post their various competitive exams.